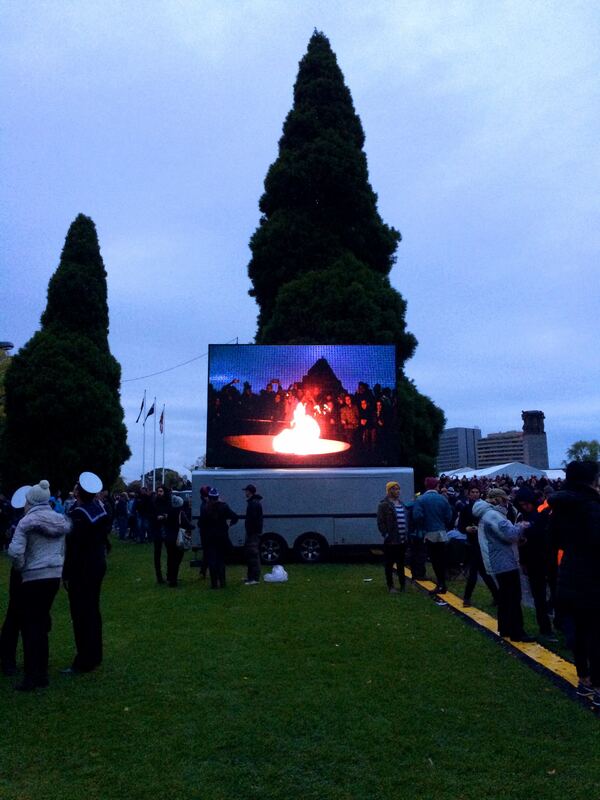 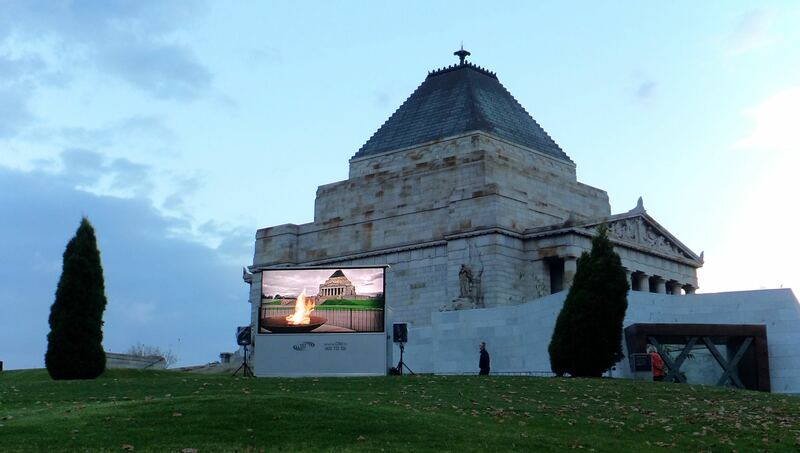 Race-Tech proudly supported the 100th Anniversary of the Gallipoli landing on the 25th April 1915 providing big screens around Australia for the ANZAC Day services. 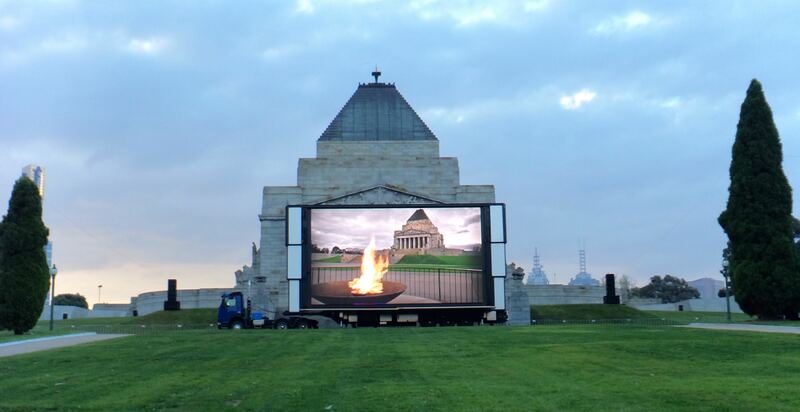 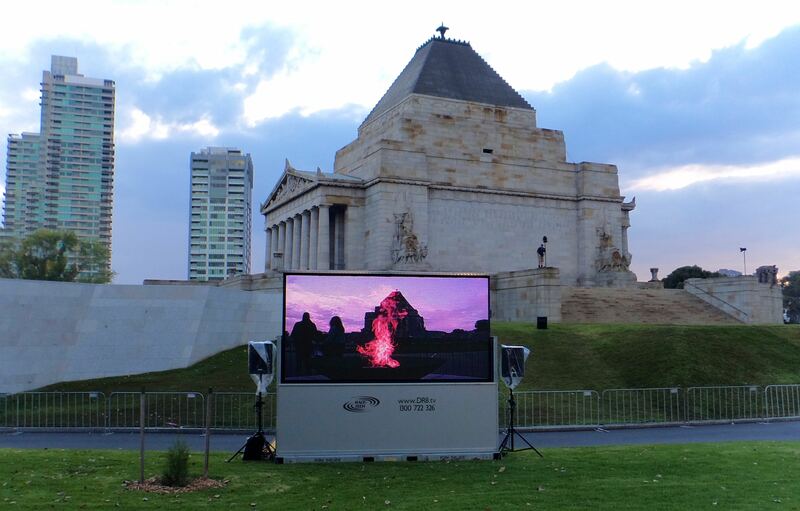 The big screen company provided mobile and portable LED Video screens at Melbourne’s Shrine of Remembrance, as well as Camp Gallipoli (3), Torquay (2), Epping (1), Warrnambool (1), Coffs Harbor (1), Sandgate (1). 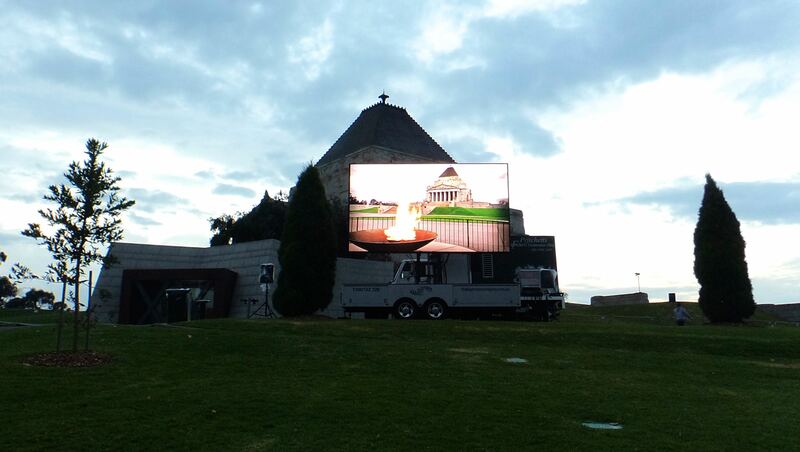 This was in addition to providing video screen services at Bendigo, Dalby, Beaudesert and Gisborne. 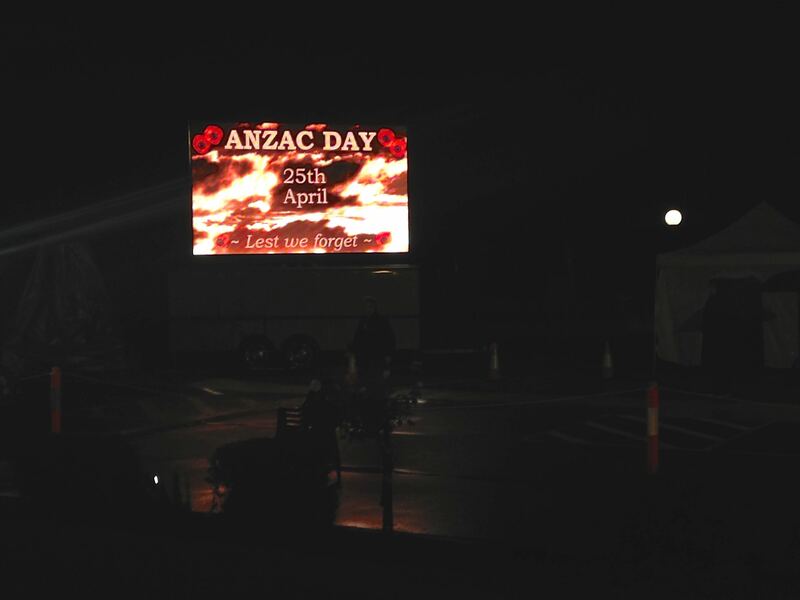 A total of 22 LED big screen operations on ANZAC day throughout Australia provided by Race-Tech and partners.